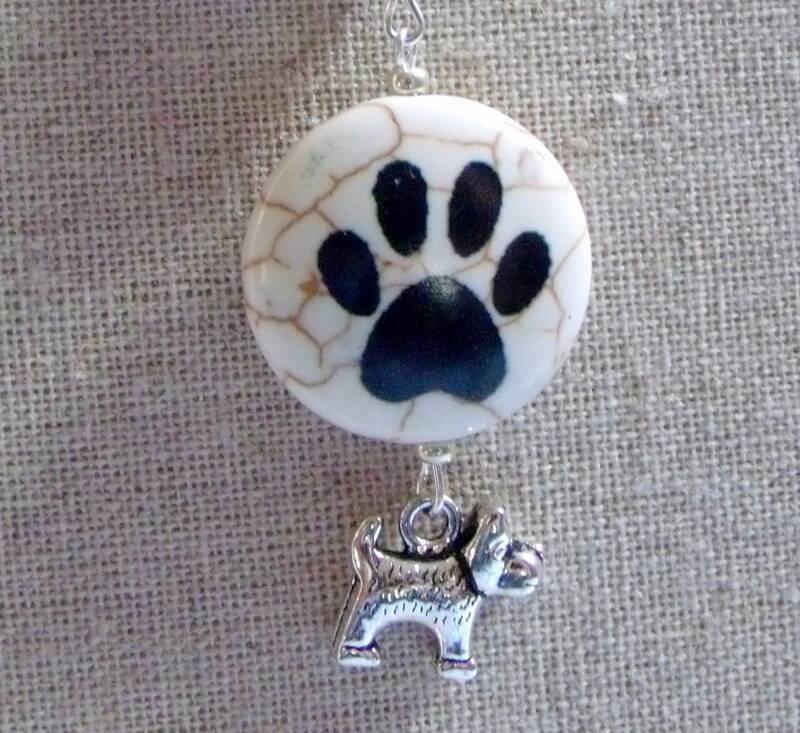 Add an ornament for your beloved dog for the trip in your car to the rear view mirror. or as an ornament on your Christmas tree. 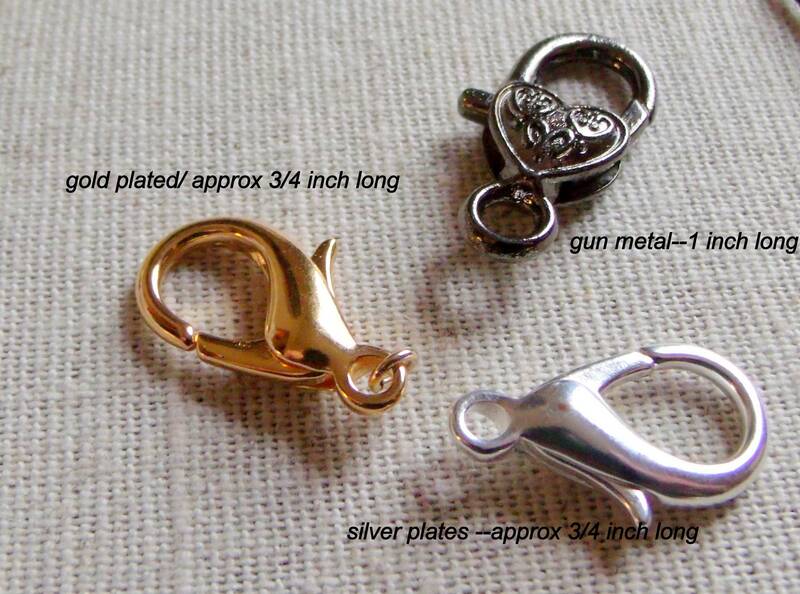 Or use asa zipper pull on his bag or your purse. 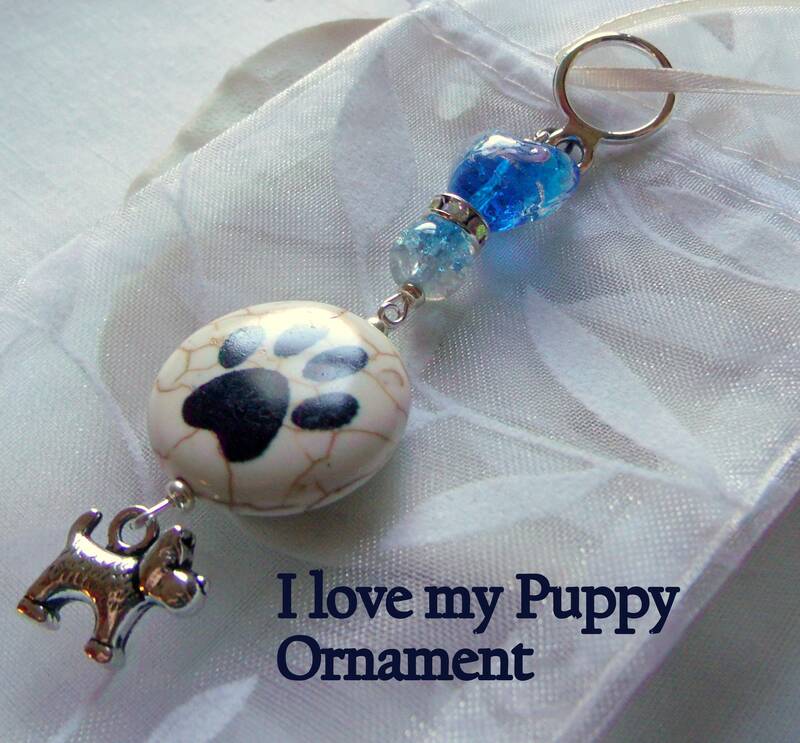 Adorable new puppy gift for kids. 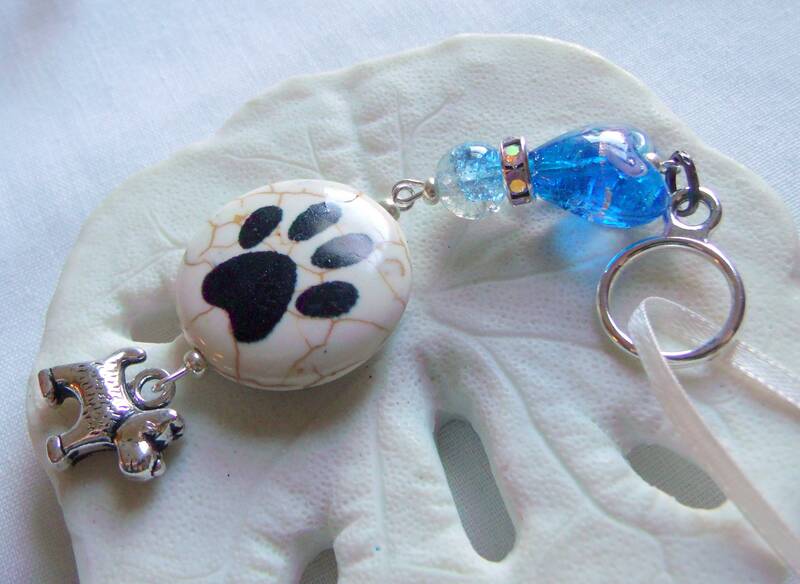 Wonderful gift for Dog lovers , chrish your dogs , a special pet memory gift. 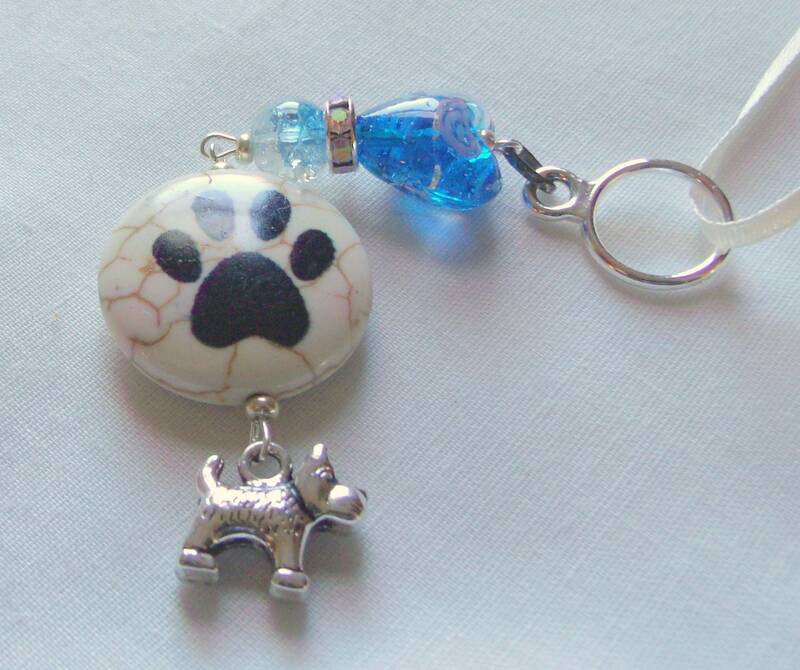 Large paw bead and cute dog charm with a aqua heart glass bead and rhinestone spacer.